Bathing can become a dreaded chore for those with mobility limitations. It can also be a real safety hazard. We can help bring the pleasure back to bathing for the one with limitations and their care-giver. Rane Bathing and Accessibility has designed exquisite spa-quality walk-in tubs for residential homes in the Montgomery, Alabama area. Rane has been highly respected in the healthcare field for years as a leader in creating bathing products for healthcare facilities. Now, you can enjoy the expertise of this family owned company in your private home with style. Rane combines their over eighty years of expertise in the healthcare field creating versatile bathing products for the healthcare field. 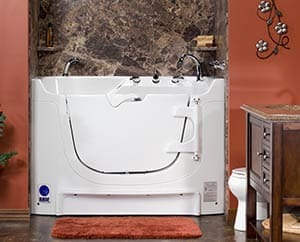 Now our experts bring all that experience to craft residential walk-in tubs which will provide safety and ease of access into your private home. Let us make life easier for you or your loved one with any type of mobility limitation—due to a disability, injury, illness or simple aging. 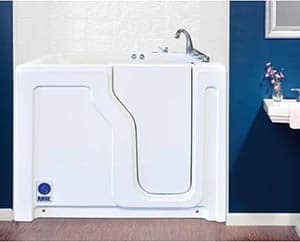 These lovely Rane Walk-in tubs will up-scale the atmosphere of your existing bathroom while making bathing a pleasurable and safe experience again. Rane Walk in Tubs are manufactured with care here in America with safety, function and affordability in mind. We have an entire lineup of models to choose from. Your Montgomery, AL Rane consultant is committed to helping you choose the perfect fit for your unique needs. Select features which are designed to optimize space in your present bathroom with doors which swing to the inside or outside of the tub, and to the left or right. We can help fit your existing floor plan. Doors are designed to swing out over existing toilets so precious space is utilized to the max. We offer free-standing styles as well as built-in Walk-in tubs. 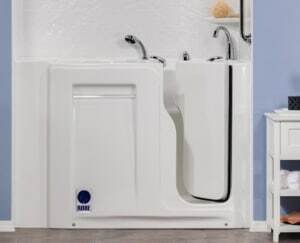 Your dedicated and experienced Rane professional at our Montgomery, AL location can assist you in making the best choice for your specific disability and bathroom space. 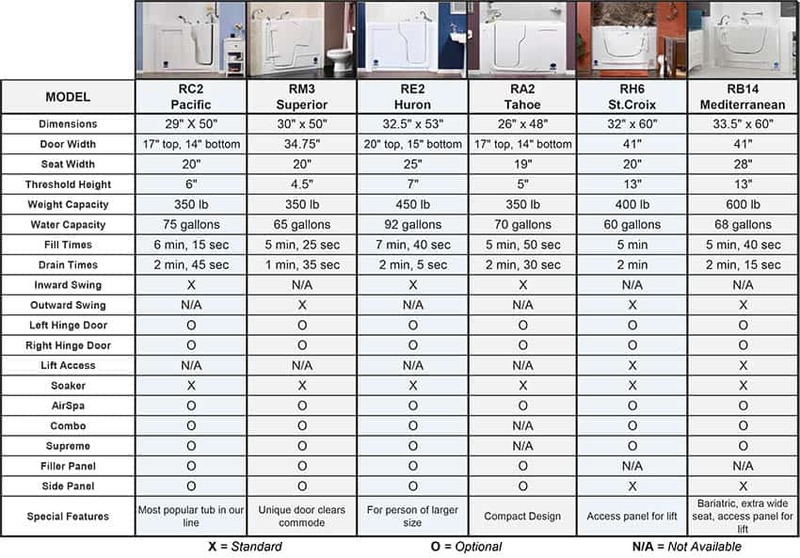 Our Rane Tubs ensure safety in one of the most dangerous rooms of the home for those with mobility issues. Our Walk-in tubs create a beautiful personal spa—a place to relax and refresh in the soothing atmosphere in your private home. Bathing is an important part of our routine. Bathing promotes good health, and aides in healing and a sense of well-being. It doesn’t need to be a dreaded chore. Our Rane Walk-in Tubs are created to make bathing safe, easy and pleasurable. 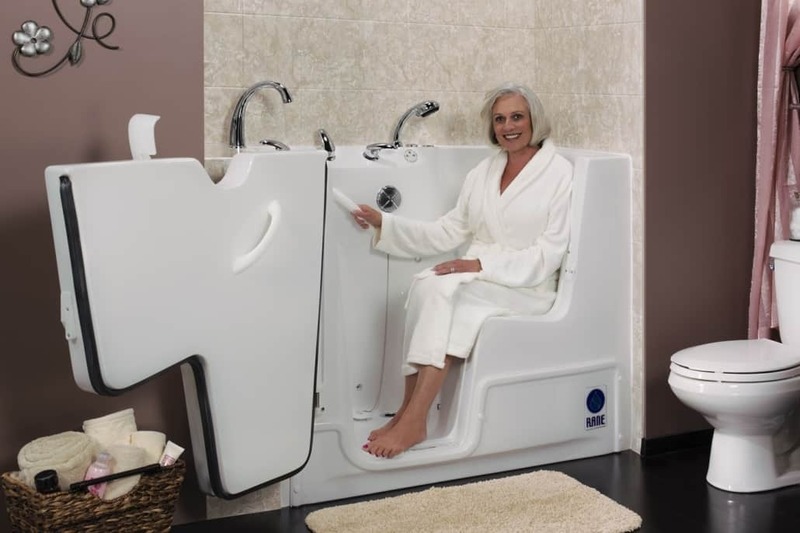 Contact your Rane consultant in Montgomery, AL who is dedicated to making bathing safer and a pleasant experience for those with mobility limitations of any kind. The RC2 Pacific is our most popular walk-in tub that is designed to be built-in or freestanding. The low threshold and wide inward swinging door allows easy access for people with various degrees of mobility. 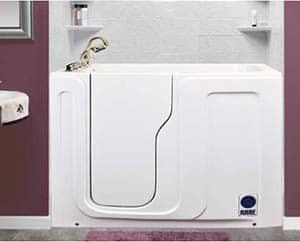 The RE2 Huron is a freestanding or built-in tub designed for persons of size. The extra-wide contoured seat allows the person of size to sit comfortably and safely in a slightly reclined position. The RM3 Superior is designed to be built-in or freestanding. The roomy contoured seat allows the user to sit comfortably and safely in a slightly reclined position. The RH6 St. Croix is designed to be built-in or freestanding. The low threshold, wide side-entry door, and removable transfer device access panel allows easy access for people with various degrees of mobility. The RB14 Mediterranean is designed specifically for the larger person that needs extra room to bathe. 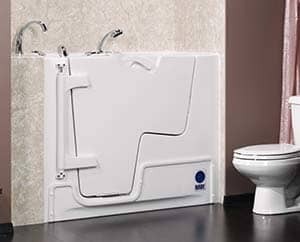 The low threshold and wide side entry door allows the user to enter and exit the bathtub easily and safely. The RA2 Tahoe is a freestanding or built-in tub designed for small to medium size bathrooms with limited space. The roomy contoured seat allows the user to sit comfortably and safely in a slightly reclined position. 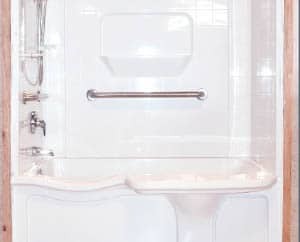 The RP3460 Hudson is a an easy access bathtub with a patented design resulting from studies into the causes of falls in the bathroom. Results show that entering and exiting the bathtub is a frequent cause of falls, particularly when crossing over the rim of the bathtub. The contoured transfer ledge and recessed rim of the Hudson allow a bather to sit and swing their legs safely over the rim.